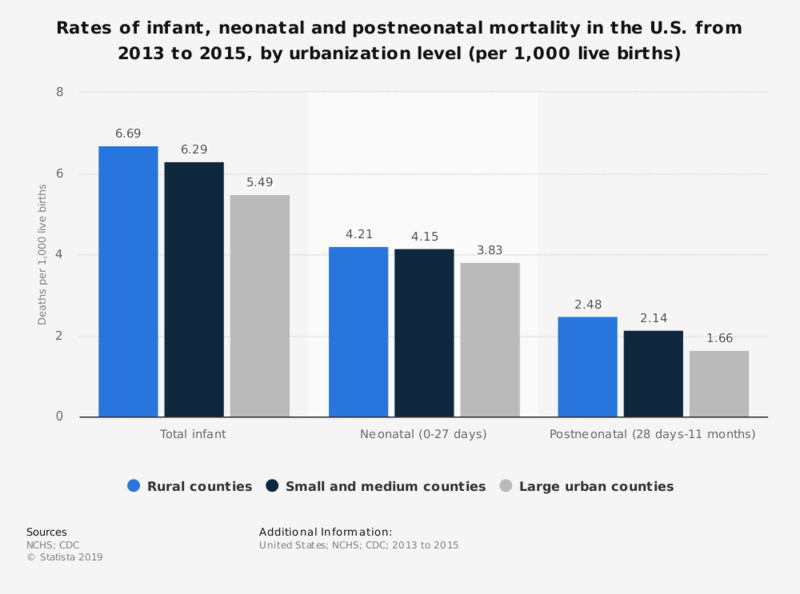 This statistic shows rates of infant, neonatal and postneonatal mortality in the U.S. from 2013 to 2015, by urbanization level. The total rate of infant mortality per 1,000 live births was 6.69 in the rural areas of U.S. from 2013 to 2015. County designation is based on mother’s county of residence as reported on the birth certificate. Everything On "Infant mortality" in One Document: Edited and Divided into Handy Chapters. Including Detailed References.